—— Primeval Film Release —–After a successful theatrical tour we are proud to launch our film online. help us protect it as a provincial park! Today BC needs a dramatic increase in the percent of parks. Clearcut logging, mines, pipelines and other development have occurred far out of balance with protected lands. BC now has 1,500 species at risk. A large mammal — the mountain caribou, found nowhere else in the world — is in serious danger of extinction. Watch Primeval to explore our Selkirk Mountain Caribou Park proposal. Click here to see maps and photos of the proposals. Valhalla Provincial Park stretches from the far shore of Slocan Lake in British Columbia, Canada, to the mountaintops. Valhalla Provincial Park was created in 1983 after eight years of hard-won battle by the Valhalla Wilderness Society (VWS). 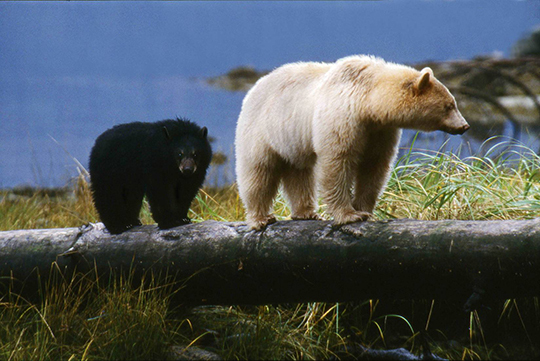 VWS went on to successfully spearhead campaigns for the Khutzeymateen Grizzly Bear Sanctuary, Goat Range Provincial Park, and the Spirit Bear Conservancies on Princess Royal Island. The charitable organization also played one of the key roles in the protection of South Moresby National Park Reserve. 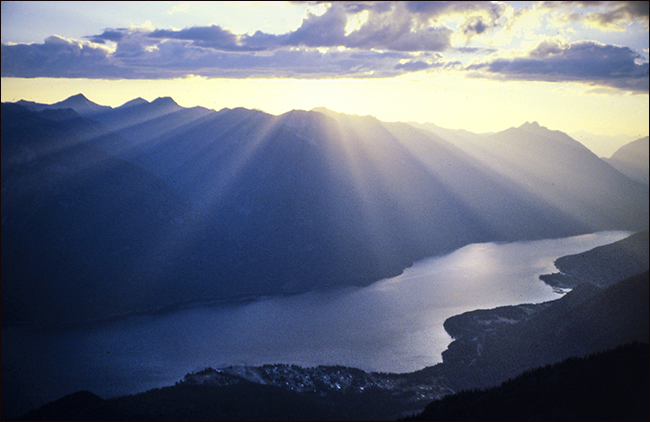 Its Endangered Wilderness Map of 1988 initiated the movement to double BC’s park system to 12% of the province. VWS has led park campaigns that now protect over 560,000 hectares. The work resulted in numerous national and international conservation awards received by Chairperson Colleen McCrory. BC’s Mountain Caribou are at a watershed point that may determine their fate forever. In 2018, Environment Canada (EC) determined that the Southern Mountain caribou is “facing imminent threats to its recovery”. Under the Species at Risk Act, this required the federal Minister to recommend that Cabinet issue an Emergency Order to force BC to protect the caribou and their habitat. 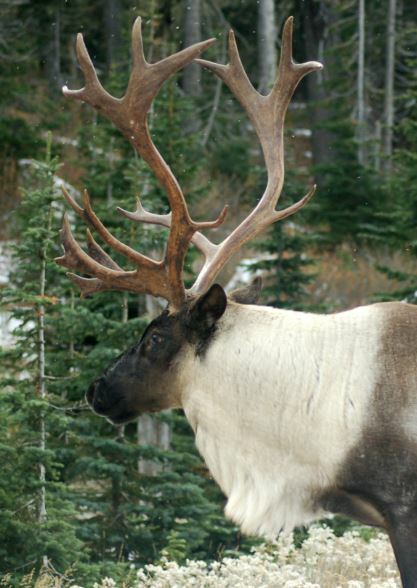 No order has ensued, instead EC has pursued a negotiated agreement with BC to increase protection for caribou. It is weak, but does offer crucial improvements (along with some objectionable clauses and glaring omissions); and it’s the best the caribou are going to get right now. The problem is that industrial interests and motorized recreation interests are spreading fears and untruths about the agreement. People are being told that their businesses, recreation, logging jobs, will be lost. This does not have to be so, but it feeds a mindset that believes all forest should be logged and every alpine ridge, whether critical caribou habitat or not, should be available for their winter pleasure. But should the world’s only Mountain Caribou go extinct in one of the richest nations on Earth? Many other people say “no”. If that is you, you must take action NOW or this new recovery process could once again be shifted away from habitat protection and toward more brutal killing of wolves and cougars — the very same mistake that was made eleven years ago that caused the original recovery plan to utterly fail. See the schedule for public meetings here. See the draft agreement at https://engage.gov.bc.ca/caribou/section11agreement/. A recent report has revealed that British Columbia’s greatest source of greenhouse gas emissions is not accounted for in Canada’s emissions reports. Old growth forests contribute tremendously to global climate regulation and carbon sequestration. 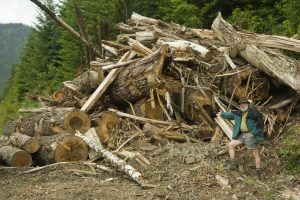 However, the last of B.C.’s ancient forests continue to be clearcut, strewn in waste piles, and slash burned to make room for plantation forests. In collaboration with Voices for Good Air, Valhalla Wilderness Society is calling for a moratorium on old growth clearcutting to reduce the risk of climate catastrophe. The end of 2017 brought the end to all grizzly bear hunting in BC, except for First Nations’ sustenance and ceremonial use. During the election, the new government administration promised the ban for all of BC, but announced post-election that only the Great Bear Rainforest on the coast would have a total ban; the rest of the province would be subject to a grizzly bear “meat hunt”. Forty-five environmental and animal care groups, bear scientists, grizzly bear viewing businesses and artists sent a letter to government and media charging that the meat hunt was a trophy hunt in disguise. Other groups joined in direct consultations with government, and four thousand people sent emails with 78% favouring an end to all hunting of grizzly bears in BC. Finally, on December 18, 2017 the BC Government announced a complete ban, with the exception of First Nations’ sustenance and ceremonial use. This momentous decision is just cause for celebration by all. 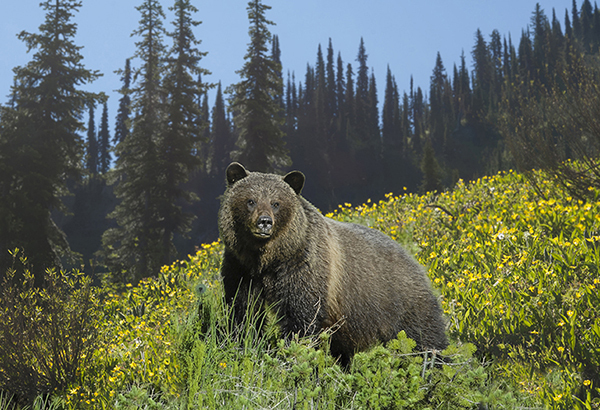 The government has also committed to implementing the recommendations of the 2017 Auditor General’s (AG’s) report on BC’s grizzly bear management. A recent photo and video expedition has revealed thousands of Western Toads are dispersing into their forested habitat that is slated to be imminently logged. The images and video show toads under logging equipment, on logging roads as well as on branch roads into the logging cut blocks. Branch roads were constructed in February 2016. 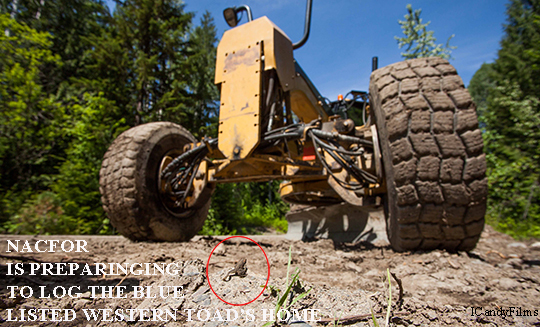 Two weeks ago, NACFOR had started grading the logging roads while hundreds of toads were migrating across it. Final announcement February 1, 2016. There is some cause for celebration since noteworthy improvements have been made in coastal logging guidelines and in adding 10 new partially protected areas which brings the grand total of parks, conservancies and partial protection designations to 38% overall. This is near to the minimum of 40-50% full protection agreed to in 2004 in a landmark GBR-ENGO protocol. One of our favourite watersheds, The Green, will be protected, but unfortunately, Gribbell Island, mother island of the white bears won’t be. Also will be some reduction of the grizzly bear trophy hunt.